During the cold & flu season many of us will occasionally suffer from sore throats & coughing. Most sore throats are caused by viruses & there isn't much your physician can do to help with this ailment (not to mention the cost). 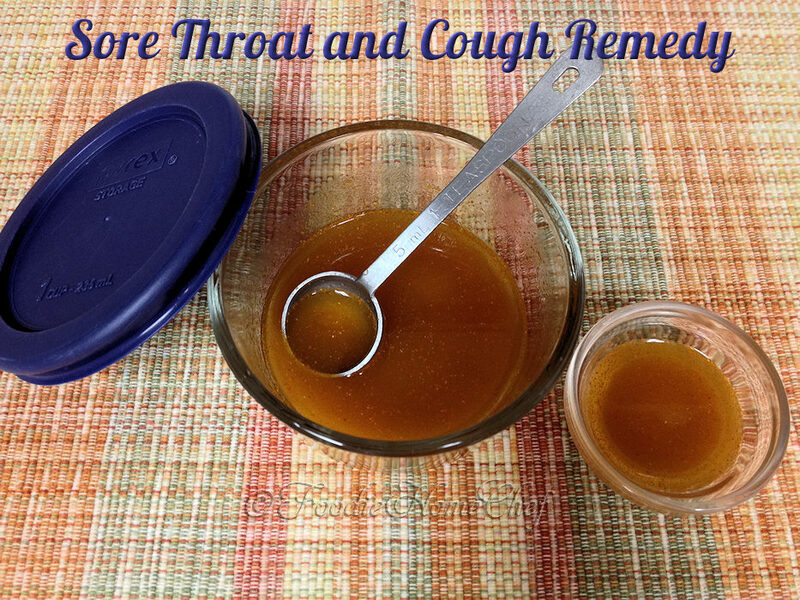 My home remedy will sooth your sore throat & help with all the symptoms associated with your cough. 1 In a small glass bowl or jar; mix all the ingredients till well combined. 2 Using a shot glass or small container; take 2 tsp, 3 times a day. Cover & refrigerate for storage. Be sure to give it a good stir before each use.